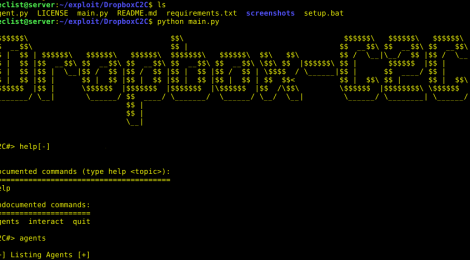 Browse: Home / DropboxC2C is a post-exploitation agent which uses Dropbox Infrastructure for command & control operations. DO NOT USE THIS FOR MALICIOUS PURPOSES. THE AUTHOR IS NOT RESPONSIBLE FOR ANY MISUSE OF THIS PROGRAM. 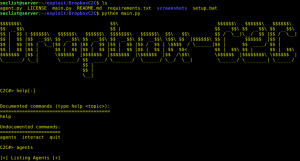 DropboxC2C is a post-exploitation agent which uses Dropbox Infrastructure for command and control operations. 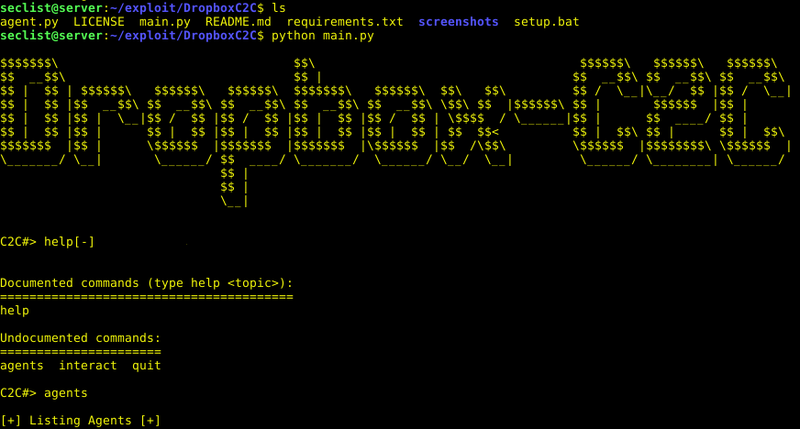 Dropbox-C2C is an old project of mine to use a thirdparty for command and control. Since the guys at Empire implemented dropbox as a C2C i am releasing this. + main.py – The “server” part which manages all the agents. + agent.py – The “client” part which does what the server tells. ← Apparatus is a security framework to facilitate security analysis in IoT systems.